The newest generation of the X-90 Solar Charger is a state of the art photovoltaic solar powered battery charger that now charges compatible Li-Ion batteries with up to 132W (4A/string), allowing faster than ever charge times. 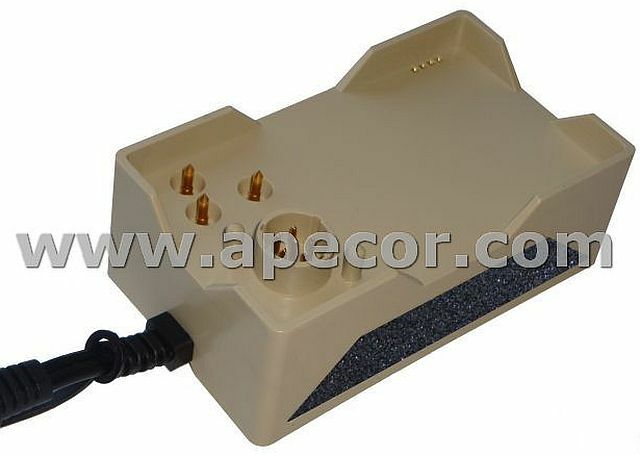 It is available with fully protected 8A auxiliary output port that is enabled when compatible Li-Ion batteries are connected. 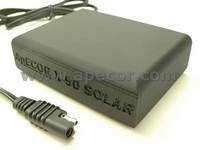 The X-90 V3-AUX creates an uninterruptable power supply (UPS) to power numerous devices while the battery is charging. 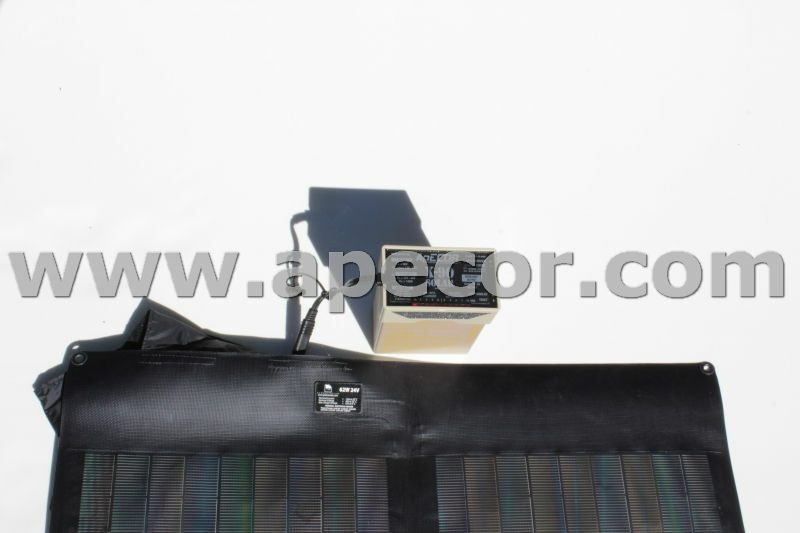 It utilizes cutting edge digital control techniques to capture the maximum power available from the solar panel. This allows the X-90 to charge roughly 30% faster than conventional chargers. 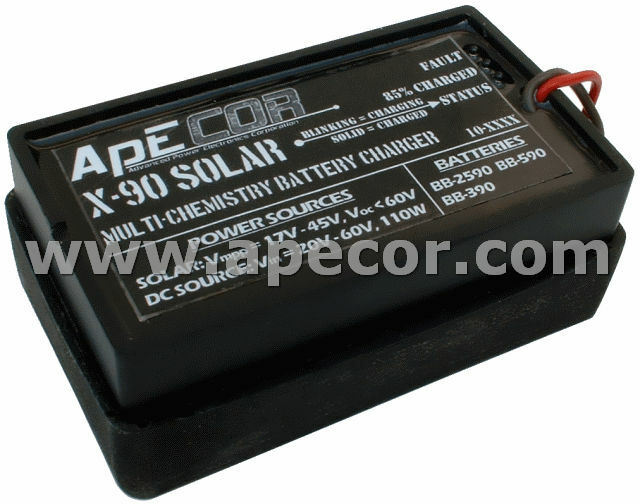 The X-90 is a multi-chemistry charger and was designed to be used with all standard BB-XX90 format military batteries. The X-90 V3-AUX also features a charge time calculator, indicating the remaining time until the battery is either charged or discharged, which is very valuable when operating the system as a UPS. Additionally X-90 Smart Adapters are available to be able to charge other form-factor batteries or power up other devices. 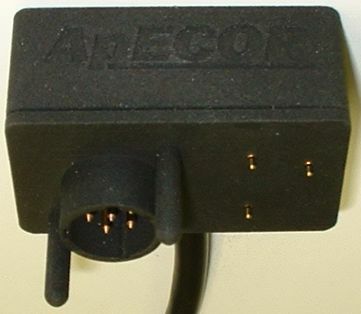 Please contact ApECOR with your request! 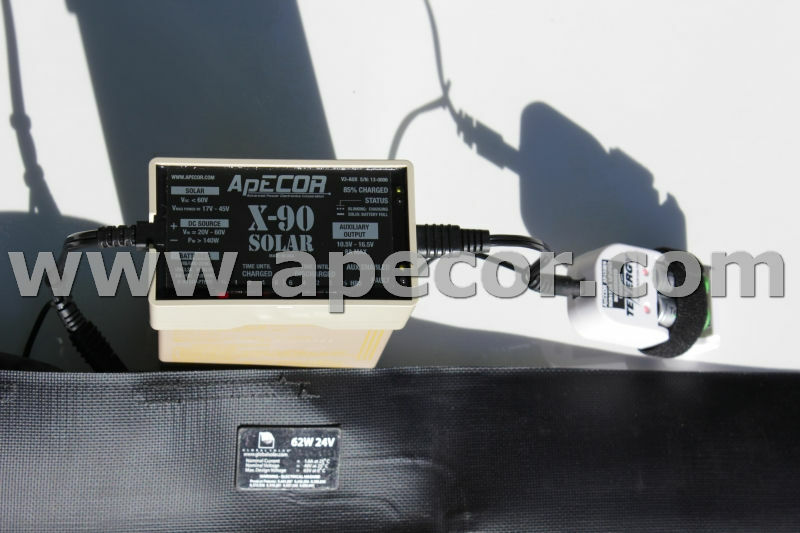 The X-90 Solar is a state of the art photovoltaic solar powered battery charger that now fits directly onto the supported batteries. 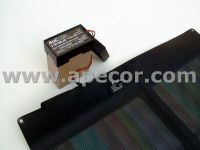 It utilizes digital control techniques to capture the maximum power available from the solar panel. This allows the X-90 to charge roughly 30% faster than conventional chargers. 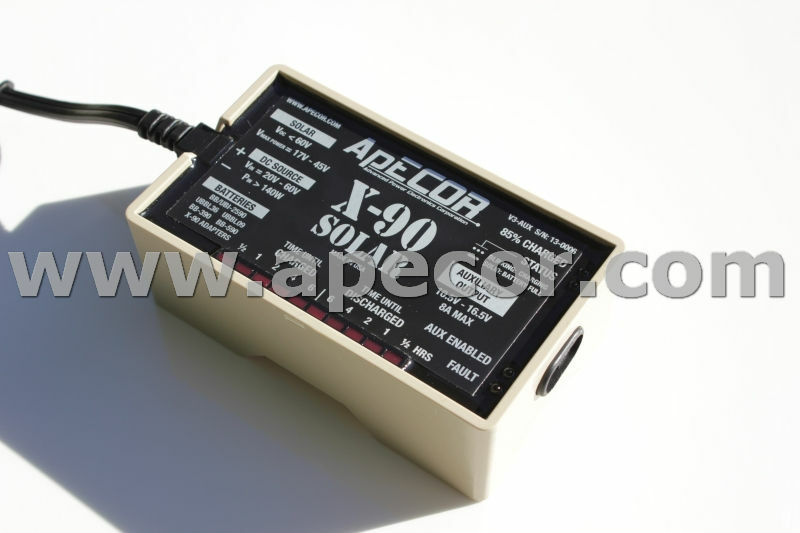 The X-90 is a multi-chemistry charger and was designed to be used with all standard BB-x90/U military batteries. The X-90 v2 has been replaced by the X-90 v3 which is available for purchase. 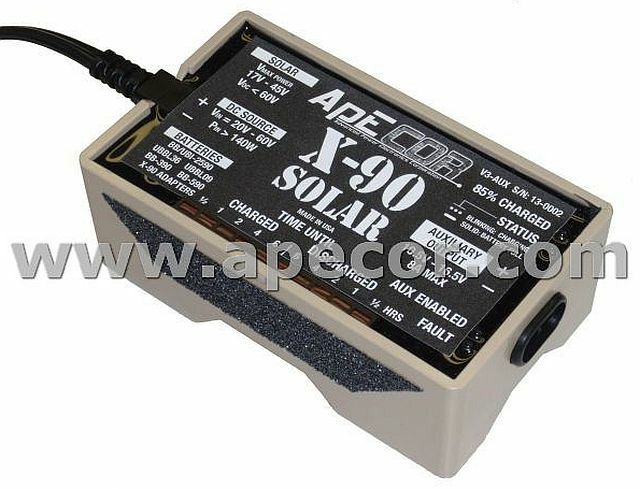 This is the 1st version of the X-90 Solar. 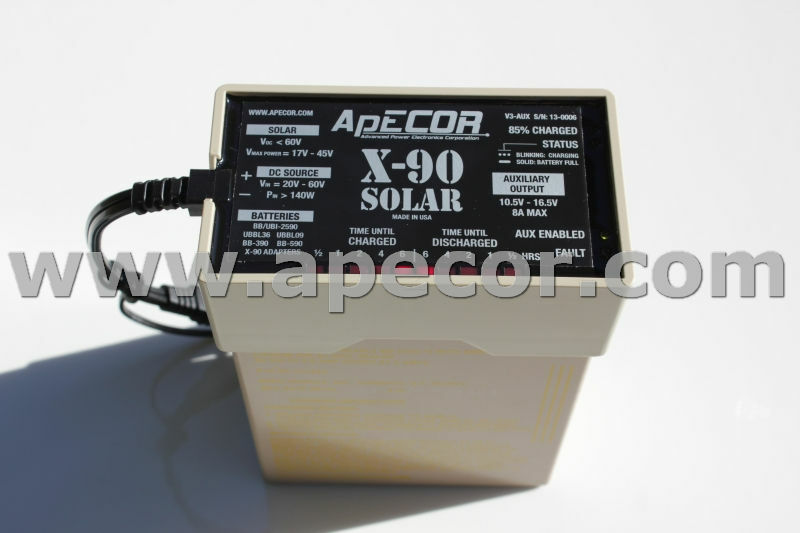 Internally it has all the same features as the X-90 Solar (v2) except that it consists of the charger itself and a universal connector interface. 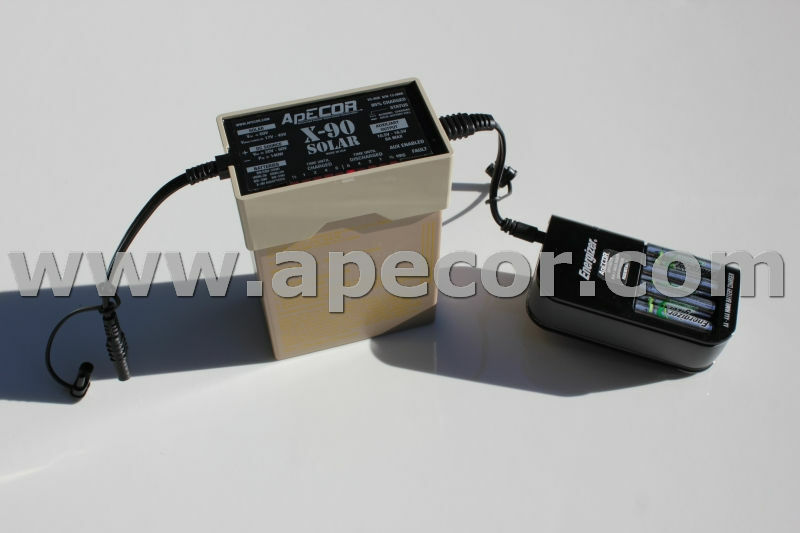 Therefore it can charge not only the BB-x90 batteries, but also one or two 12V lead acid batteries using the respective adapter. The X-90 has been replaced by the X-90 v3 which is available for purchase.